Just as Nirvana were tearing up the rock 'n' roll rule book with Nevermind in the fall of 1991, Austin photographer Kirk Weddle was commissioned to shoot the band for photos to promote the impending blitz. His idea? 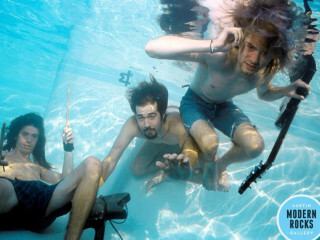 Toss the band into a swimming pool to mimic the album's infamous cover image. The exhibition will run through June 27.